3 Step Portable Folding Step Ladders, 30" Top Step Height, 350 lb. Weight Capacity, Carbon Steel with Blue Powder Coat Finish. 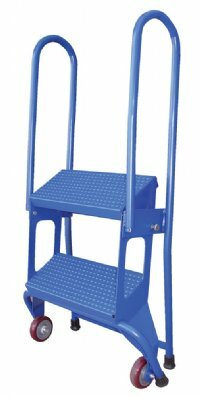 The 3 Step Portable Step Ladder is perfect for those who need a ladder that's portable and folding for easy storage. 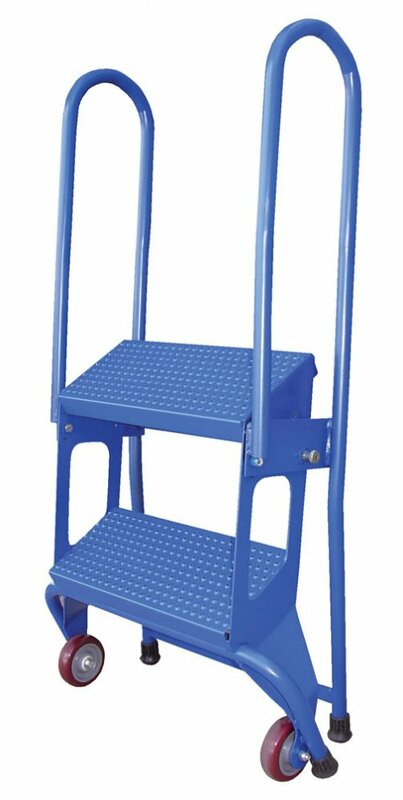 Constructed from carbon steel, this portable step ladder has a 350 lb. 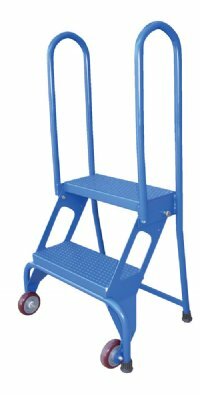 weight capacity with sturdy handrails for added stability and safety. Overall Width: 23 3/4". Usable width on step 16"